Recently, I have had a few questions regarding implanted ports so I decided to post it here in the spirit of sharing and learning . 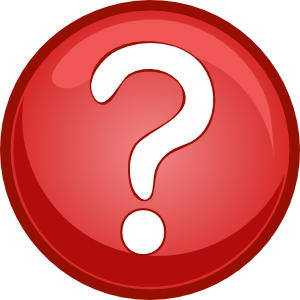 Q: A patient asked: why is it that sometimes my nurse wears a mask to access my port and sometimes they don’t? Should they or should they not wear a mask? A: I find it very interesting that you noticed the difference in how nurses access your port. The use of mask during implanted port access varies and is usually dictated by the institution’s policies. At the infusion center where I work, we are required to wear a mask by our institution policy. There are other institutions that do not require mask because there is lack of research in this particular practice. If the facility you go to requires nurses to wear mask during the access procedure, you should expect that all nurses should follow the policy and wear mask and no variation in practice. Hope this helps and thanks for your question. Q: We have a patient with a port requiring an infusion and none of us knows how to access the port at our infusion suite. What should we do? A: Based on what you stated, I would recommend that you get the proper training/supervision on port access before you attempt to access this patient’s port for infusion. A implanted venous port is a central line and requires a knowledgeable and experience nurse or healthcare professional to access. Perhaps, it might be best if the patient is referred to another infusion center f with more experience in port access and infusion. Q: I am having a hard time finding any info on the intradermal injection of bacteriostatic saline to numb the port a cath before accessing. I have a newly hired nurse who wants to adopt this procedure for our op chemo suite and others have concerns re: infection etc. We do offer emla cream by rx. We have tried this and most of the patients like it, I just need to find some other documentation on this procedure. A: The use of bacteriostatic saline for numbing the skin prior to IV insertion is a common practice. A while back when implanted ports were new, we used buffered lidocaine or bacteriostatic saline (for those with sensitivity to lidocaine) intradermally to numb the skin until the topical/transdermal anesthetic creams came along. With the intradermal injections, many patients with ports complained of burning and stinging and did not like the discomfort of the needle stick. Now for port access placement, the common practice is the use a topical/transdermal anesthetic cream. Not to say that the concept of using bacteriostatic saline to numb the skin prior to port access placement is not feasible, but perhaps just not a common practice hence the difficulty in locating published articles. Q: A patient of mine told me she has a “power port”, what is it and how is it different than the regular port? I would just like to add, not only do I wear a mask whan I access a pateint’s Port, I also have the patient wear one..
Hi, thanks as always for the posts. A few years back when the IV work group I was on was updating all the policies. One for ports didn’t mention anything about injectables for numbing. Just Emla cream. I looked into at INS…no data…and then called several manufacturers of ports. Talked to the clinical nurses there….they were against using indradermals….for several reasons that make sense….the tissue can be thin (friable) over the ports and someone could damage the non coring section of the port if done incorrectly. We didn’t change our policy based on that. Susan, thank you for reading the blog post and for your comment.